The Hiblue studio was located at the wonderful CoworKing Bonn space. CoworKing Bonn also includes 10 workspaces for digitally-oriented freelancers and startup companies. Joining CoWorking Bonn means interworking with similar people and being able to use studio facilities at short notice and at much reduced rates. 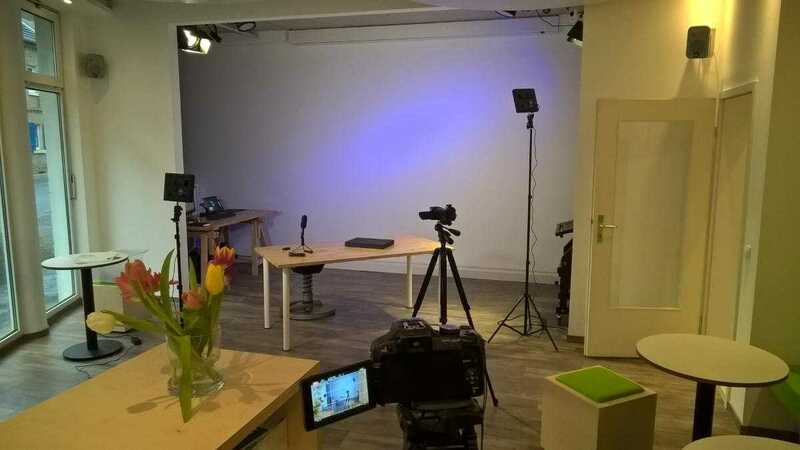 If you’re thinking of a multi-day multimedia creation project CoWorking Bonn able to provide desks and studio time in one package at great rates.